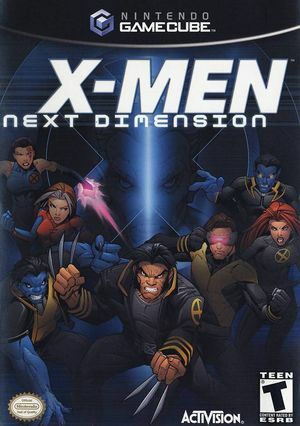 X-Men: Next Dimension (originally titled X-Men: Mutant Academy 3) is a fighting game. It is the third game in the X-Men: Mutant Academy fighting game series, following X-Men: Mutant Academy and X-Men: Mutant Academy 2. Next Dimension expands upon the concept of the first two games by adding several new characters, 3-D maps, and the option to play "Story Mode", which allows the player to fight a series of battles in between short movies that move the plot along. This game is loosely based on the events of Operation: Zero Tolerance. Launching the game with crash post the intro videos before reaching the main menu. Older revisions may work, specifically those with the Direct3D 9 backend. Refer issue 10710. Videos will have purple upper and lower borders unless Store XFB Copies to Texture Only is disabled. This AR Code have some culling problems, but is better than using the Widescreen Hack. The graph below charts the compatibility with X-Men: Next Dimension since Dolphin's 2.0 release, listing revisions only where a compatibility change occurred. This page was last edited on 27 February 2018, at 11:33.